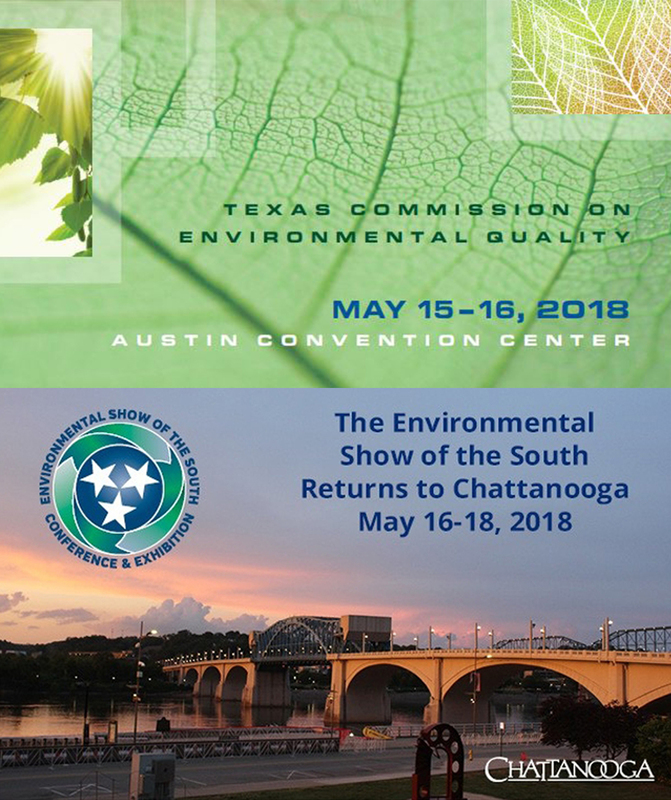 The Texas Commission on Environmental Quality (TCEQ) Trade Fair & Conference (booth #1549), May 15 and 16, 2018, in Austin, TX; and The Environmental Show of the South (booth #802), May 16–18, 2018 in Chattanooga, TN. For anyone coming out to either show, please be sure to stop by the Raven booth and speak with our knowledgeable geo team of sales and construction design specialists to learn more about the latest advancements in technology for supported and unsupported geomembranes and our innovative modular construction system. This system takes geosynthetic projects from design concept to project completion; saving our clients substantial time and money by reducing the days on site with quality prefabricated geomembranes. While at the booth, be sure to sign-up for our big prize give-away, winners will be drawn on the last day of the show! Raven is a vertically-integrated full-service solutions provider of targeted products for the geosynthetics industry. Our capabilities as a world-class manufacturer include multi-layer blown sheeting, reinforced cast/lamination, conversion, custom fabrication, design-build expertise, and certified installation services. We incorporate the latest technology to develop sustainable solutions that directly address hazardous containment and promote stewardship in the remediation, cleanup, reuse, and redevelopment of environmentally impaired sites. The Raven product lines includes a wide-range of geomembranes: RPE, RPP, PVC, EPDM, CSPE, HDPE, LLDPE, fPP, along with supportive geosynthetic materials to complete seamless installations and performance. Raven product lines have specific features and qualities that effect long-term performance, installation processes, welding, chemical resistance, and barrier capabilities. Our geosynthetics sales and construction specialists can recommend a complete solution from project concept to completion. We regularly design products to comply with the GRI-GM standard specifications, state and federal regulations, as well as to meet NSF/ANSI certifications. Raven Engineered Films is a 60-year pioneer in designing and manufacturing advanced geomembranes with seven US manufacturing facilities and 730,500 sq.ft. of start-of-the-art equipment. In 2017, Raven acquired Colorado Lining International; a widely respected business partner with nearly 40 years of geosynthetics experience in custom fabrication, design-build expertise, and certified installation services. Since then, we have formed an extensive network of qualified geosynthetics installation partners to facilitate our modular construction design concept within the industry. For many projects, our modular construction model can save up to 80% of jobsite installation seams saving time and money by incorporating prefabricated panels. Raven manufactures all membranes in a quality controlled environment custom built to optimize site design and specifications. Large factory fabricated panels, up to an acre in size depending, are delivered to the site for final installation with only a few seams to complete. Using this modular system, facilities can increase their bottom-line and realize substantial savings in site labor, weather risk potential, and days on site for deployment. Raven advanced barrier geomembranes provide superior containment of hazardous contaminants in gas, solid, and liquid form and are categorized as true-type EVOH gas barriers. These barriers are designed to prevent the migration of harmful VOCs including BTEX, TCE, PCE, methane, and other toxic chemicals/odors. Raven EVOH gas barrier geomembranes provide long-term solutions to directly address hazardous vapor intrusion and promote sustainable remediation and redevelopment of brownfields sites. Effective 7-layer barrier resistance to odors, methane, and harmful VOC’s ranging from 20mil to 60mil. Exclusive textured friction surfaces for the most challenging site designs. High-strength unsupported membranes up to 120mils. Densely reinforced smooth or textured geomembranes up to 45mils. All products produced by Raven are manufactured under stringent ISO 9001 certified management system and tested in our GAI-LAP accredited laboratory. EVOH gas barriers over 300x less permeable to VOCs then polyethylene. Gas barriers control invasive odors and migration of methane, radon, VOCs, BTEX, PCE, TCE. Modular Construction System - prefabricated factory panels reduce installation risk, time, and cost. Custom Design-Build Services and IAGI Approved Installation.